Officers searching a building in Beeston where a cannabis factory was found will be wearing specialist protective suits due to the presence of asbestos. A warrant was executed at the premises at the junction of Dewsbury Road and Oakhurst Avenue, Beeston, on 27 September 2018, by officers from Leeds District Serious Organised Crime Unit. 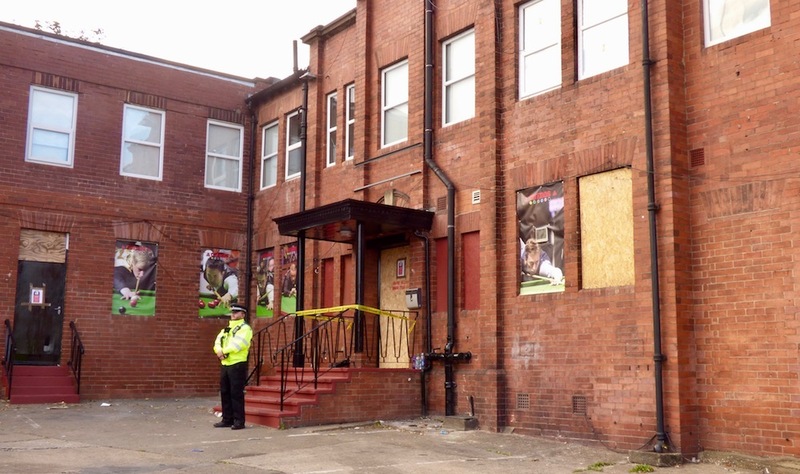 A number of cannabis plants were removed from the building for destruction before the presence of asbestos was identified and the scene sealed off. Asbestos, which is present in many buildings, can present a serious health risk if fibres are inhaled when the material is damaged or disturbed. A comprehensive search of the building is due to start from tomorrow, Friday 5 October and continue over the coming days with officers wearing protective suits and using other protective equipment. “We want to make people aware of what is happening at these premises to avoid any unhelpful speculation or unnecessary concern in the community.